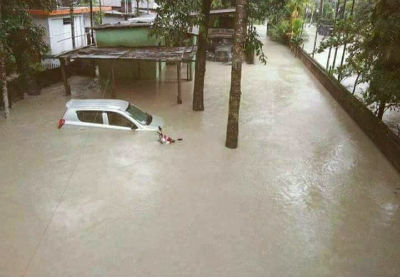 According to AccuWeather, 24 million people across India, Bangladesh, and Nepal have been affected by “the worst flooding in more than a decade.” While annual monsoon rains are nothing new to the region, the situation is compounded by unusually persistent rains and, in some locations, the release of water from local dams. Homes have been swept away, businesses and schools have been damaged, and families have been displaced. As the floodwaters rise, so does the incredible need. Another disaster abroad once again serves as a reminder that a swift disaster relief response requires the generosity of people like you. Landslides, water rescues, and food shortages have all been the subject of conversation among civic and ecclesiastical leaders in parts of India and Bangladesh. Sadly, the flooding has claimed the lives of more than a hundred individuals, and safety remains a chief concern. No one is out of the woods yet, as the monsoon season typically continues well into September. Please pray for our churches and leaders on the ground as they continue to assess the situation Bangladesh and parts of India. The extent of the damage may not be known for several weeks, but the need for disaster relief donations is imminent. The Church of God has a history of faithful response to the worst of disasters at home and abroad. Please consider a generous donation today to disaster relief. Thank you! 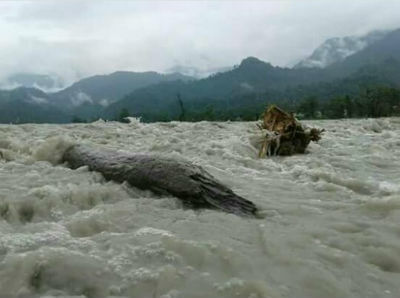 Swollen rivers are a common sight in India and Bangladesh. Children of Promise is also doing a wonderful work to help families of sponsored children during this crisis. Visit www.echildrenofpromise.org/asia-flooding/ to learn more. Thank you, Children of Promise! In crises where an immediate response is critical for relief, Church of God Ministries advances funds in anticipation of a gracious outpouring of donations from churches and individuals. Such advances are made from a limited Disaster Relief Fund maintained by Church of God Ministries for emergency response to disaster. Disaster Relief contributions are utilized to bring relief to those affected by disasters worldwide. Give now at give.jesusisthesubject.org/disasterrelief. This entry was posted in All Church of God, Disaster Relief, Global Strategy and tagged aid, Asia and the Pacific, Asia-Pacific, Bangladesh, crisis, Disaster Relief, Disaster Relief Committee, DRC, flooding, floods, humanitarian, India, international, missions, Monsoon, Sanjay Murmu, weather. Bookmark the permalink.